Because this final decision has been made, there’s even more controversy surrounding it because die hard fans see it as iconic and don’t want it removed while others are cheering that it finally happening. Curious as always, I read the comments of an article about it. 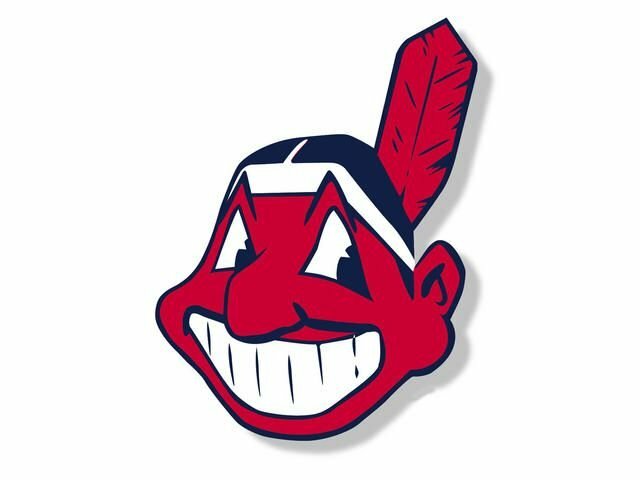 One woman stated she was sad to see it go because she thought it was a symbol showing strength and power of Native Americans and that other teams should fear the Cleveland Indians over this symbol. A different commenter responded to her by saying she was wrong because it was racist cartoon propaganda used many years ago and should have never been etched in sports. Tension rose as it usually does and the comments started getting angry. I looked to my husband and asked him what he thought. He, like me, never really thought much of it because we don’t follow baseball so there’s no reason for it to bother us. So my initial thoughts were literally, how did they get so many black people to do this video. Then I thought about some of the typical stereotypes that were shown like the gold teeth, hair braiding on the porch and the grandma feeding him watermelon and I was like, “huh..” BUT! the tune is so damn catchy, it didn’t affect me as much as it probably should have and I thought the video was actually quite fun. My husband said when he first watched it, he felt like it was all wrong. But then he found out that Chris Rock directed the whole thing and his view of the video shifted from feeling wrong to feeling fun. Isn’t that quite interesting? He was so ready to be a little frustrated with this portrayal but to find out a prominent comedian directed the whole thing made him look at it differently. All of this made me think of book reviews. I was reading a few on a book last night to gauge if it was something I would be interesting in reading since the cover drew me in and I came across some thought provoking comments. One reviewer rated the book 1 star then listed a novel’s length on everything he liked and disliked about the story. Many of the commenters found his review helpful and decided they’d steer clear of the book. Some agreed with some of the things he said but told him that they were sorry he didn’t like the book because the loved it. One commenter however was genuinely upset that he rated the book 1 star. She told him that he didn’t understand the book correctly and used phrases like “that’s not how the author portrayed the story”. He in turn got upset because he was being reviewed on his review and felt that it was his opinion and shouldn’t take flack for it because someone disagreed. It got me thinking about all the books I read. Not every book can be a 4-5 star winner. I think of 3 star and below books I’ve read and left reviews on and I’ve never really thought about if a person would be upset about reading my review or not. Stories, videos, movies, logos, they’re all going to be interpreted differently when you have different people. I don’t think no one person can be right or wrong and they shouldn’t get shredded or told they’re opinion is inferior because they didn’t see the big vision that everyone else was supposed to see. Where’s the fun in that? Nobody likes to be told what to think or that their way of thinking is inferior you know? Specifically when it comes to books, authors release them hoping readers views will be aligned with theirs but it definitely should not be expected or condemned and belittled when it’s not. Do you accept different interpretations of media or art? Have you ever been told a borderline snide comment because your interpretation didn’t color in the lines? Let me know in the comments below! This is difficult because as you say, everyone sees things differently. Personally, I don’t see anything wrong with the baseball logo and it seems like anymore, people are trying to find racism in everything. I recently read an article about a school librarian who refused a large shipment of Dr. Seuss books from the first lady because she said those books were racist. What upset me the most was that I had recently read the book she referred to with my kids and there’s no way kids would pick up on it, and I myself didn’t even think it was racist. It almost seems like people are purposefully trying to pick it out of everything and all it’s doing is spreading hate. This is my personal opinion. I’m with you Jenn. I never saw anything wrong with the Indians logo until it was pointed out but even then, because I don’t follow the sport closely enough or know the history behind the logo to care about any of the teams, I feel like my opinion on the matter is moot. Your story regarding the Dr. Seuss books doesn’t make any sense to me. It’s like the people who interpret meanings behind the classic Disney movies and finding things that a child will definitely not pick up on. I still haven’t on some of them, haha! Yes, I didn’t view it negatively either. I thought it was really, really fun! I watched it like 4 times afterwards, lol. I even watched it this morning. I think in this generation its hard not to have initial thoughts about this kind of stuff but then form your own opinion. I probably should just stop reading comments on things hahahaha. Yes! I haven’t read a ton of stuff on the Disney movies, but that seems a little crazy. Last year I was reading an article pertaining to Labyrinth and they were saying that David Bowie’s part as Jareth was basically a pedofile because Sarah was only 15 or something like that. It really gets you thinking because of the parts in the movie that do seem romantic in nature. Weird! My husband even pointed it out. Such a thought provoking discussion! Hehe, I’m glad you’re enjoying the thought provoking posts. I promise to be lighter hearted tomorrow ;). I agree. If you state that even though you didn’t like something but maybe other people real, I don’t see why you should get flack over it but some people just have to give it I suppose. I think people are sort of *trained* in a way to see negative things before looking at the positives especially this time and generation. I agree. People are definitely entitled to think however they want as long as it’s not hurting a mass of people in some way I’d say. hehe- both are great 😉 Yes for sure. hehe too true unfortunately. Yes absolutely. I’ve never been a fan of the Chiefs logo, mainly because I went to a high school where our mascot was a Sachem, and the logo was a realistic black silhouette of a Native American, so I had something to directly compare it too. As far as agreeing with reviews, I rarely read them. Other than a few book bloggers, I just tend to read the description of a book, show or movie and decide off that. The internet is overrun with people who are too critical and too cool to genuinely enjoy things. I see. A silhouette I can understand. The face on this logo has always been creepy to me but, again, I never really paid too close attention to it cause I’m not into baseball. There was an episode on Unbreakable Kimmy Schmidt about something similar to this except it was for the team called the Redskins.